It is one thing to hear rumors about mini staking rushes, but quite another to get the facts from those companies participating in the scramble. In order to clear the smoke of speculation with the hard wind of facts, the Canadian Mining Expo hosted in the City of Timmins June 5,6 2019 will be the place to get them. This year the Canadian Mining Expo will host the Investors Forum with speakers knowledgeable about developments in the Golden Triangle of Northern Ontario and Northwestern Quebec. The Triangle comprises the Mining Camps of Timmins to the west up to White River, Matheson-Kirkland Lake and up to Val D'Or Quebec. While these camps have produced more gold than any other area in North America, new discoveries and intensive exploration programs have added decades more to their lives. With cautious optimism returning to the mineral production and explorations sectors, it is important to make certain proper information is available at this juncture. That is why attendees at our Investors Forum will obtain the latest news to help them make decisions affecting the very future of their operations, as well as about their personal investments. I remind the mining fraternity that “common knowledge” is often “old knowledge” and that well-established mining camps change over time. Modern equipment, new technologies and up-dated mineral theories adopted and refined by a new generation of geologists and technologists have led to fresh eyes being cast on areas long considered past their prime. Cobalt the mineral that was tossed into piles of tailings during the boom days of the town Cobalt, but today that mineral is needed. So too are such industrial minerals as lithium, graphite and manganese, among others, all basic to modern societies. Many such minerals were found by prospectors over the decades but often ignored as precious metals such as gold and silver and base metals such as copper and zinc were what the world wanted. Knowledge is power and facts are the basis of all knowledge. The Canadian Mining Expo will deal only in facts and making them available to all is the sole ambition of the Investors Forum. 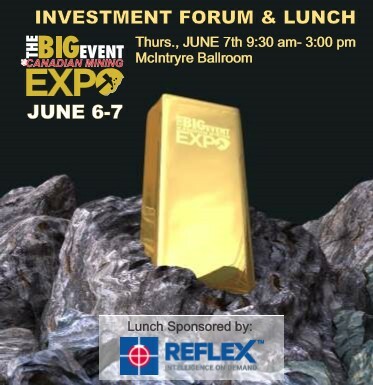 At the Canadian Mining Expo in Timmins, June 6th we are telling the world that we are confident enough in the mineral exploration sector to invite those with promising properties to share a 15-20 minute presentation to those interested in investing in the north. Brian Skanderbeg, President & CEO, GFG Resources Inc.
Mr. Skanderbeg was most recently President and CEO of Claude Resources Inc., which was acquired by SSR Mining for $337 million. He previously worked for Goldcorp, Inco Ltd. and Helio Resources, holding positions in both exploration and operations. He holds a B.Sc. (Geology) from the University of Manitoba and an M.Sc. (Geology) from Rhodes University, South Africa. 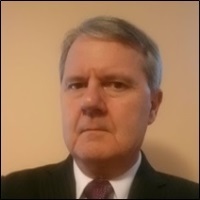 He brings extensive experience in the exploration and evaluation of gold systems, operational management, cost and asset optimization and strategic analysis. About GFG Resources Inc. GFG Resources is a North American precious metals exploration company headquartered in Saskatoon, Saskatchewan, Canada, whose shares trade on the TSX Venture Exchange (GFG) and on the OTCQB (GFGSF). The Company controls 100% of the Rattlesnake Hills Gold Project, a district scale gold exploration project located approximately 100 kilometres southwest of Casper, Wyoming, U.S. The geologic setting, alteration and mineralization seen in the Rattlesnake Hills are similar to other gold deposits of the Rocky Mountain alkaline province which, collectively, have produced over 50 million ounces of gold. The Company also owns 100% of two large and highly prospective gold properties west of the prolific gold district of Timmins, Ontario, Canada. The Ontario properties are comprised of the 44,500-hectare Pen Gold Project (including the West Porcupine property) and the 12,000-hectare Dore Gold Project. Mr. Basa is a distinguished metallurgist and milling expert who has over 28 years of global mining experience with expertise in milling, gravity concentration, flotation, leaching and refining of precious and base metals. He is an expert in cobalt metallurgy, having worked in Ontario's Cobalt Camp early in his career, when he designed, in conjunction with Canada's National Research Council, a unique hydro-metallurgical process known as Re-2OX for the recovery of multiple metals and elements from all feeds with varying chemistries. He is a member of the Professional Engineers of Ontario and a graduate of McGill University. Mr. Frank J. Basa, P.Eng., has been the Chief Executive Officer and President of Canada Cobalt Works Inc. since September 15, 2015 and the CEO and President of Granada Gold Mine Inc.since June 18, 2004 where he successfully advanced the project through the many stages of exploration and development to being fully permitted for mining. About Canada Cobalt Works Inc. Canada Cobalt Works Inc. has past-producing Canadian cobalt/silver mines, a proprietary metal separation process for efficient cobalt extraction plus a cobalt recovery division set up to recover cobalt from spent batteries. The Company is moving forward on all fronts with cobalt prices continuing to rise due to supply shortfalls as battery production ramps up to meet the increasing global demand for electric vehicles. In addition to the Castle Silver Mine profitably operated by Agnico Eagle Mining up until the late 1980’s and located near Gowganda, Ontario, the Company also has 100% ownership of the Beaver and Violet cobalt silver mine properties located near Cobalt, Ontario. Roughly 300,000 pounds of cobalt was mined from Castle over the years,with the Beaver mine property having historical documented cobalt production of another 140,000 pounds. Although cobalt has been in the news recently as the price continues to head up, work related to cobalt on these properties dates to 2011 when drill hole CA11-09 returned 1.44% cobalt at Castle plus CA11-08 returned 6,476 g/t silver. Recent bulk samples from underground workings at Castle have tested up to 3.1% cobalt. 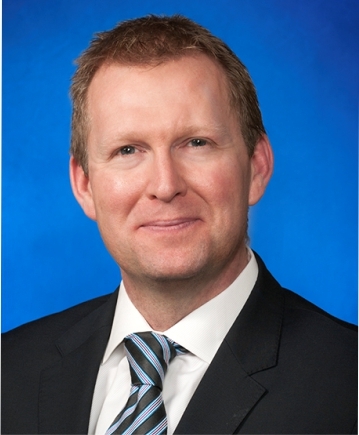 John joined the Mineral Exploration Research Centre as Associate Director in February 2013. He received BSc and MSc degrees from Carleton University and a PhD degree from the University of Ottawa. 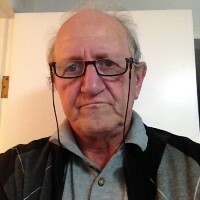 He worked for 28 years with the Ontario Geological Survey (OGS) mapping Precambrian greenstone belts at detailed to regional scales in the Wabigoon and Abitibi Subprovinces and 10 years for the exploration industry. 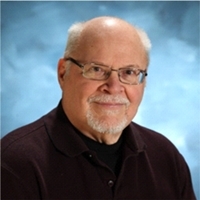 He was leader for the OGS Precambrian mapping group in NE Ontario, Targeted Geoscience Initiative 3 in the Abitibi and coordinator of the Greenstone Architecture project at Laurentian University (LU) under the Discover Abitibi Initiative. About the Mineral Exploration Research Centre (MERC): The Mineral Exploration Research Centre (MERC) provides multidisciplinary research and education on mineral exploration in order to help create new mines. MERC is part of the Harquail School of Earth Sciences at Laurentian University, Sudbury, Ontario. It comprises an internationally recognized group of faculty and adjunct researchers from academia, industry and government.Over the last five years, MERC's annual research funding has exceeded $2M. In 2016, MERC initiated a 7-year project Metal Earth, with cash and in-kind funding of $104M, the largest exploration-focused geoscience project ever undertaken in Canada. MERC's research projects are currently supported by mining companies, the National Science and Engineering Research Council of Canada, the Geological Survey of Canada, provincial and territorial geological surveys and other agencies. The research projects are global and address fundamental ore deposit problems including method development and new technologies to aid mineral exploration in Precambrian and younger terrains. MERC provides modular courses, short courses and workshops aimed at undergraduate and graduate students from around the world, and for professional development of people in the mining and exploration industry. Chris began his career at the San Antonio Gold Mine in Bissett, Manitoba. He then relocated to Red Lake, Ontario where he held various roles including Chief Mine Geologist and Exploration Manager at Red Lake Gold Mines. Chris joined PGM team in his current role in 2016. Chris has a solid background in Geology and Exploration with proven success, abilities and leadership qualities with internal customers and external customers and external stakeholders at all levels. In his address, Chris will be providing an update on Goldcorp-Porcupine Gold Mines' exploration activities around Timmins and Chapleau, Ontario. Ingrid Hibbard, LL.B. President & Chief Executive Officer, Director, Pelangio Exploration Inc.
Ms. Hibbard has spent her life in the mining industry, beginning with Ingamar Explorations Limited, an exploration company formed by her parents, which acquired large tracts of exploration land, including land surrounding Detour Lake. 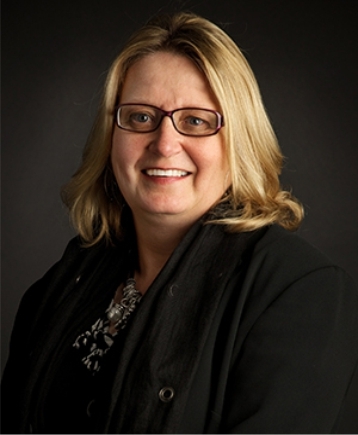 Ms. Hibbard is the President and Chief Executive Officer and a director of Pelangio Exploration Inc. and was the Chief Executive Officer of PDX Resources Inc. (formerly Pelangio Mines Inc.) from 1997 to 2009. Ms. Hibbard has played a key role throughout the history of the Detour Lake mine property including as President of Pelangio-Larder Mines Limited which, in 1998, acquired the property under a joint venture with Franco-Nevada Mining Company Limited from Placer Dome (CLA) Ltd. (now Goldcorp) up to Pelangio's sale of the Detour Lake assets to Detour Gold Corporation in 2007. Ms. Hibbard holds a Bachelor of Arts degree and an LL.B from the University of Western Ontario and is called to the Bar in both Ontario and Manitoba. Ms. Hibbard's law practice focused on mining and securities law, with clients ranging from junior exploration companies to major mining companies. Mr. Bonhomme started his career working in the Timmins Assay office during the Texas Gulf rush and has worked in the mining and exploration field ever since. 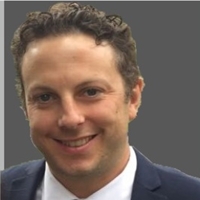 He has been involved with many private and public companies in planning exploration programs and has worked closely with OGS and GSC doing research in the Abitibi greenstone belt. IEP is a private company that has over 51,000 hectares with 38 prime gold and base metal exploration properties in Ontario and Quebec. The properties are at various stages of development spanning the full range from grass roots to advanced projects with historical resources. It also has a royalty portfolio. IEP's 100%-owned property portfolio represents a 50 year effort of land accumulation and aggregation in Ontario and Quebec by IEP, and its predecessors. IEP owns several advanced gold projects along the Destor-Porcupine and Pipestone Faults near Timmins. IEP controls a large VMS land position in the Kidd-Munroe Assemblage and the Blake-River Assemblage including historic base metal resources. 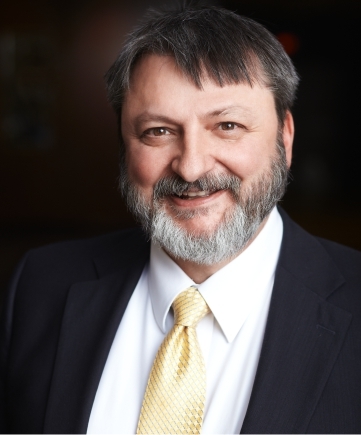 Charles Beaudry is an experienced mineral exploration executive with over 35 years’ experience in project generation, business development, exploration geochemistry and international project management. Charles has been involved in a number of deposit discoveries during his long tenure with Noranda/ Falconbridge/Xstrata (now Glencore) from 1989 to 2006 and he was country manager in Brazil from 1996 to 2001 during which time the company became the second largest landholder in the Carajas Mining District after Vale and made Cu-Au discoveries that are now being developed. In 2008-2009 he was General Manager for New Opportunities for Iamgold where he lead the world-wide search for new gold acquisition opportunities. From 2010 to mid-2013 he was founding President and later CEO of Xmet Inc., leading a dynamic exploration team that outlined a NI43-101 compliant, 850,000 ounce gold deposit in the Abitibi greenstone belt of Quebec. 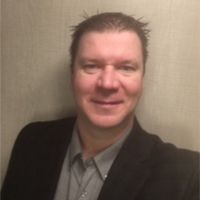 Since 2016 Charles has been involved in business development and project generation for his own account and was VP Exploration and director of Orefinfers Resources Corp (TSXV: ORX) a public exploration focused on acquiring historic gold resources in Ontario and more recently assumed the same title for PowerOre Inc., (TSXV: PORE) a junior exploration company focused on battery metals. He is a Qualified Person for purposes of news releases and 43-101 technical reports. He speaks 4 languages and is fluent in three and has taken a particular interest in Quality Systems and Six-Sigma methodology and uses this as a framework to teach QAQC. He was co-chair of the technical committee of Exploration’17, a major mineral technology symposium held every ten years in Toronto and is the chair of the PDAC’s Geoscience Committee.